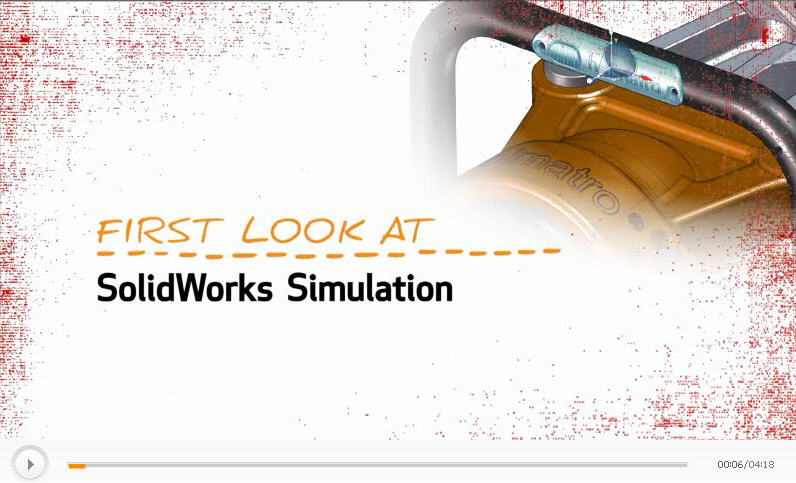 In SolidWorks 2013, now you can define sensors which can store transient data from thermal simulations, drop tests, non-linear simulations and dynamics simulation. Due to nature of simulations which support transient data, this new sensor is supported in SolidWorks Simulation Professional and above. The transient sensor replaces the existing response plots which were previously used. Loading of a transient sensor is much faster than response plots since the data is pre-loaded into the sensor. In the FeatureManager design tree, right-click Sensors and select Add Sensor. Under Sensor Type tracktype, select Simulation Data. Under Data Quantity, select the result quantity to track with the sensor. Under Properties, select a Criterion. Select Transient for Step Criterion. A new sensor icon is created under Sensors. To list the data stored in a transient sensor, right-click the sensor icon under Sensors and select List.